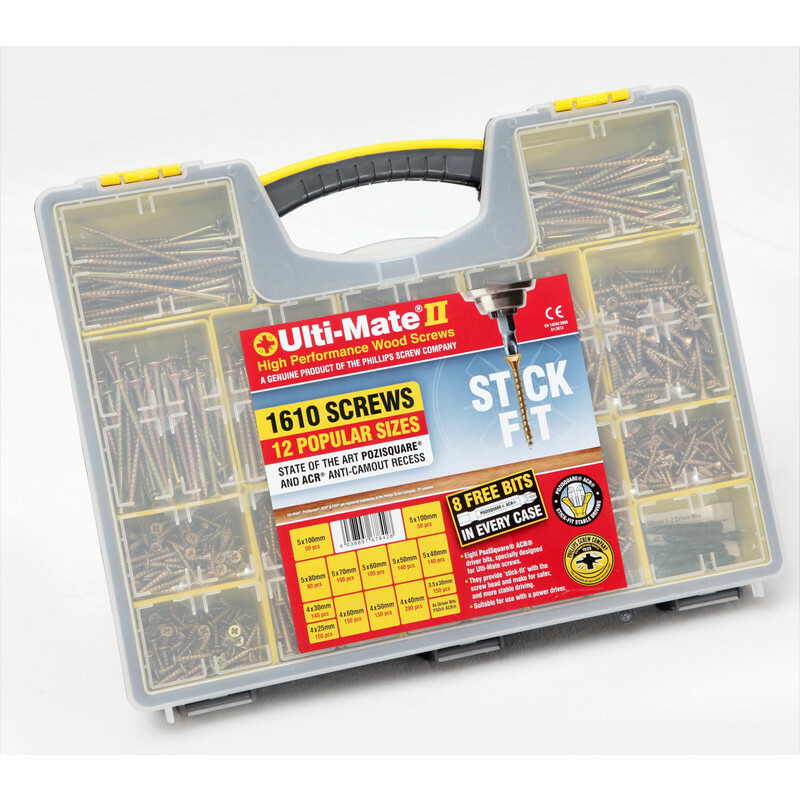 Ulti-Mate II Stick-Fit Zinc & Yellow Plated Screw Attache Case (1610 Piece) is rated 3.5 out of 5 by 2. 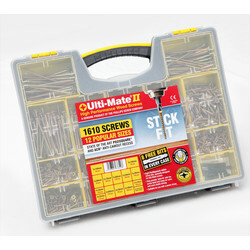 Rated 2 out of 5 by Tdwakey from Good screws, poor case design The screws and bits are great. 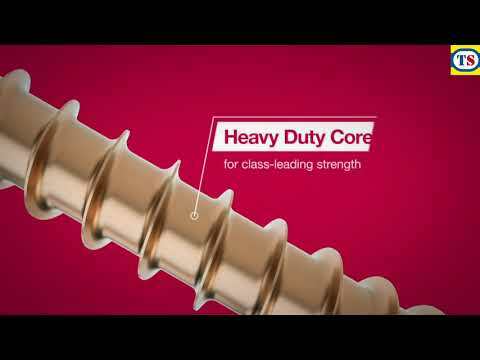 they grip well and reduce cam-out. The problem is the case... due to the handle not incorporating the lid, it is easy to lift the case and have it open on you. Yes, the result is picking up 1000s of screws and sorting them. After the second time, I just dumped them all together into the case with compartments. Rated 5 out of 5 by Aint got one from Great item Very fast delivery. 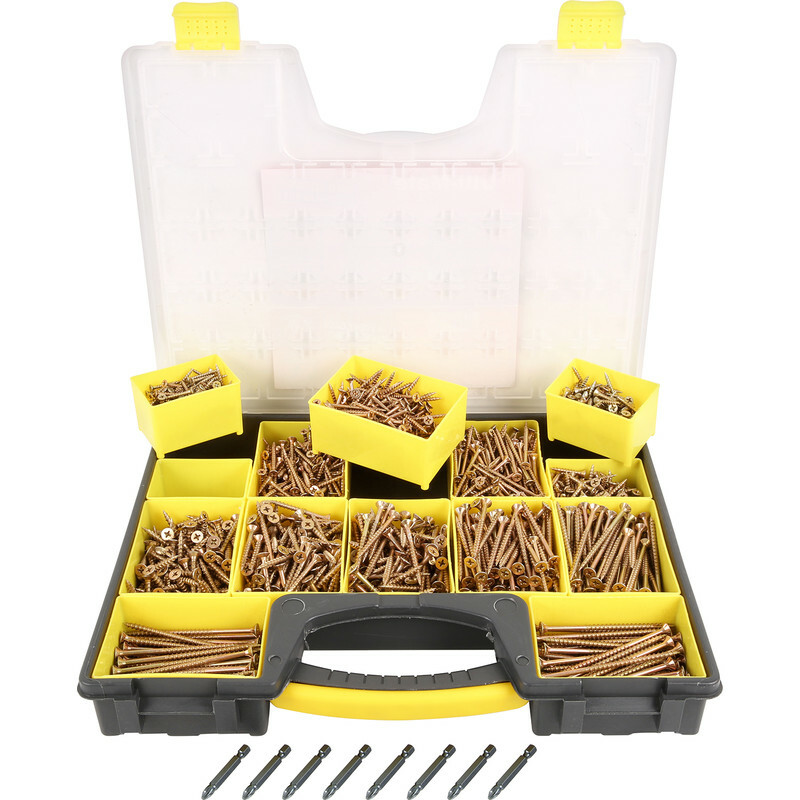 Good selection of screws to choose from for many a project.